To view the full website, click the web link below. At DWTC, we aim to make your event a success by handling every possible detail from exhibition stand design, branding and signage to rigging, utilities and even accommodation. In addition to the hundreds of exhibitions that are organised at our premises annually, we host thousands of exhibitors across various industries, who all rely on our vast experience and in-house capabilities to ensure the smooth running of their stand throughout the show. 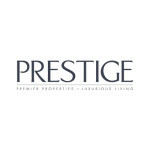 In every respect, we aim to maximise the value we can provide you. In terms of preparation, we can design and build your exhibition stand, handle all your branding and signage needs as well as provide complete rigging services for your sound, lighting or other display requirements. Our essential services ensure full functionality throughout your time with us. These include any utility requirements, data and telecoms needs, cleaning and other technical services. Additionally, you can take advantage of our full-service catering solutions, halls and meeting rooms accommodating events of any size, highly-qualified security staff and our branding and advertising expertise. For your maximum convenience, our fully-serviced accommodation, The Apartments, Dubai World Trade Centre, provide you with a home-away-from-home, while our onsite hotels Ibis and Novotel are directly connected to the Dubai International Convention and Exhibition Centre. Our highly experienced, specialist teams design and build your stand to the best quality, optimising your branding with eye-catching signage. Technical teams including certified riggers are also at hand to fulfil any special build and display requirements you may have safely and efficiently. DWTC offers a number of options to tailor our essential services specifically to your needs – the provision of electrical, water, compressed air or gas utilities, full data and telecoms services, audio-visual provision and support and our spotless housekeeping. Whether it’s our catering for all tastes and cultures, the adaptability of our different-sized meeting rooms, stand security that offers you complete peace of mind, or the specialist services of our advertising and media team – DWTC provides you with a complete package of services to support your event in every way. While late nights and early mornings are all part of the buzz of getting your stand up and running, you can take comfort in our convenient onsite accommodation options, and get in the rest and relaxation you need to stay one step ahead of the game. Make yourself at home within our serviced residences at The Apartments Dubai World Trade Centre or stay at the Novotel and Ibis hotels which are directly connected to the Dubai International Convention and Exhibition Centre. The success of your event starts before any visitors walk through the door – in the all-important preparation of designing and building your exhibition stand and ensuring your signage gives your brand the highest possible visibility. Our deep experience and extensive stand design and production resources will give your space the professional edge and build-quality it needs to draw and impress your customers. Our in-house advertising and media professionals can design, produce and install a wide range of branding and signage solutions, supported by our onsite team that provides primary and secondary rigging services in complete safety. Make the most of our extensive exhibition experience and rely on us to build the stand that will build your business. Whether you want an open ‘island’ encouraging high footfall, or a more immersive experience, we will provide it. Our team works swiftly, meaning shorter lead times, with total focus on quality and functionality. Our designers develop advanced 3D simulations, so you know exactly what your final stand will look like. We can manage the whole process, from initial creative concepts through to final assembly, involving you every step of the way. We use the latest techniques and materials to create engaging physical spaces - complete with all the technology you need to showcase your products or services. Our team of designers, engineers, carpenters and riggers has designed and built stands for the world’s most demanding companies, executing to the toughest deadlines. 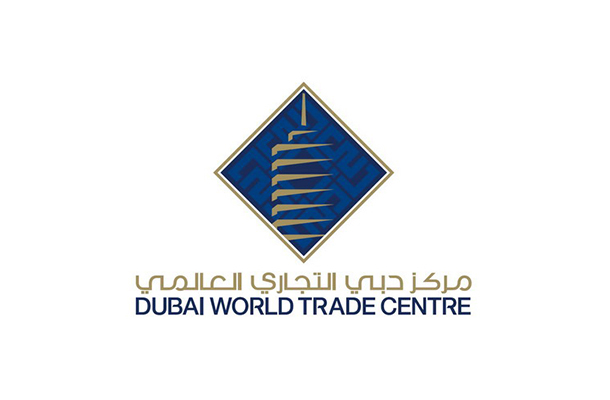 Working with agency LBi, the brief was to write content for the new Dubai World Trade Centre website based on the new tone of voice guidelines and a new website structure. The challenge was producing over 40,000 words of copy in a short period of time. Travel Ink used its extensive team of writers and editors to produce high-quality copy in line with tight deadlines. A quality control mechanism was also put into place by the use of an initial sample that was used as benchmark for the creation of remaining copy. An online system was also used to organise and manage the flow, creation, review, and client feedback of the content.